There are no exceptions. Mint lightly hinged set. New ListingKOREA ( SOUTH ) , 1968 , OLYMPICS , scarce SET in pairs and four S/S , MNH ! All in fine / very fine MNH condition. 1961. #B12-B14 MLH. top row in photo. 1962. #B15-B17 MLH. top row in photo. 1964. #B28-B31 MNH. bottom row in photo. 1962. #B18-B20 MNH. middle row in photo. 1963. #B21-B23 MNH. middle row in photo. This album is the very first edition that was issued in 1985. This album is complete and in beautiful condition. 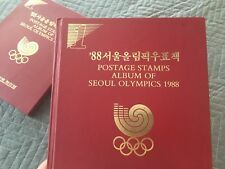 This original album was issued by the Ministry Of Communications Republic Of Korea. It's Easy! Six different designs in a folder. Set No. 1171. Excellent condition. This is a folding brochure. He has since passed so I am relying on his notes attached to each item and whatever information I can glean from the internet. He had been a collector and dealer of. It is not my intention to mislead. THESE SHEETS ARE NEVER HINGED. ADD THIS NICE SET TO YOUR COLLECTION. Japan 1951 Sc# 549-50 Sports Topical MNH & Mint Pairs x 9 $78.75 CV! MNH - Mint Never Hinged. ONLY ONE of the variations as shown in the picture, not all variations. I will send out any one based on availability. Multiple Variation s. NDC - No Die Cut. US Stamp Sheets Plate Position. Take a look at the other collectibles I have for sale. Scans at 1.5X show the entire lot. #2 - 27 Mini Sheets. #1 - 21 Mini Sheets. #3 - 21 Mini Sheets. #5 - 18 Mini Sheets. No marks, bends, or creases. NEAR MINT (NM): Like mint but very light aging of very slight discoloration from being in an album for many years. Not as sharp or crisp. EXCELLENT (EX): Like mint in appearance with no bends or creases, or rounded or blunt corners. Clearing out an estate. 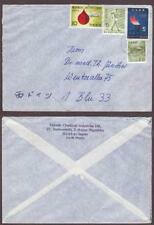 Neat set of MNH tete-beche pairs for the 1972 Japan Winter Olympics issue (Sc# 1103-1105). Issue Date: July 25, 1992. Type: Souvenir Sheet. Catalog # 1583. Peoples Republic of China. 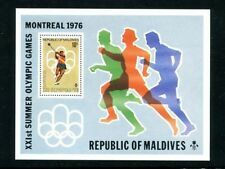 Taiwan 1964 Scott # 1424 - 1427, MNH, no gum, 18th Olympic Games, Tokyo. They are unused, in mint condition and never hinged. They are from a personal collection and in an individual glassine envelope. Direct communication is always the best way to fix an issue. AND ALL POLICIES. If there is a fault we will describe it. Yes we do! Yes we can. Yes we do. We will combine over a 2 week period. COMBINING ORDERS. 1991, Viet Nam Democratic Republic. KOREA, 1979. Moscow Olympics Sheet 1855a Perf-Imperf, Mint . Korea, 1979. Moscow Olympics Sheets, Scott 1855a, perf and imperf. Wholesale lots. All new electronics warranty issues must be directed to the manufacturer. Catalog # 1582. Peoples Republic of China. KOREA, 1980. Olympic Winners Souv. Sheet 1999 Perf-Imperf, Mint . Korea, 1980. Olympic Winners Souvenir Sheets, Scott 1999, perf and imperf. Japan 1961-64 TOKYO OLYMPICS SEMIPOSTAL: 6 S/S MNH! Lots within one week can be combined for S&H. Foreign currency or checks will not be accepted! 1991, Viet Nam Democratic Republic. 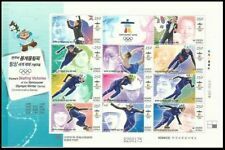 1992 Albertville Winter Olympics, 25 Imperforated Souvenir Sheets.